Don’t be afraid to pucker up. If dry, chapped lips have you down, then you’ll love this easy DIY recipe! 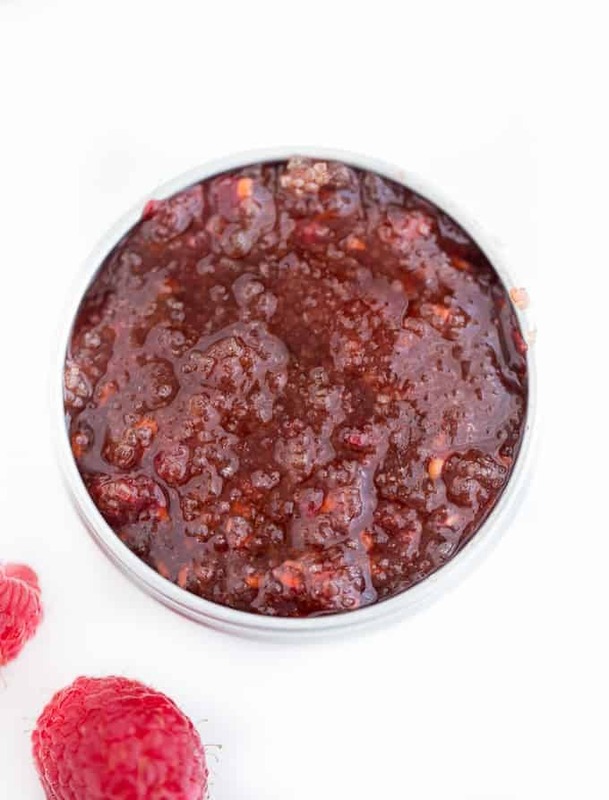 This Raspberry Lip Scrub is only three ingredients: fresh raspberries, raw sugar and fractionated coconut oil. Another bonus is that if you accidentally get some in your mouth when you’re scrubbing, it won’t taste awful. I bought some raw sugar at Giant Tiger. I like it because it has more grit than white sugar and holds its shape better in the scrub. If you can’t find any, don’t sweat it. Use white sugar or brown sugar in its place. Fractionated coconut oil is the carrier oil I used. I love this stuff in beauty products! Put all your ingredients into a bowl and stir combine. Feel free to tweak my directions to reach your desired consistency. I like mine with a bit more grit than oil. Last year I bought these little tins on Amazon and I knew they’d eventually come in handy. 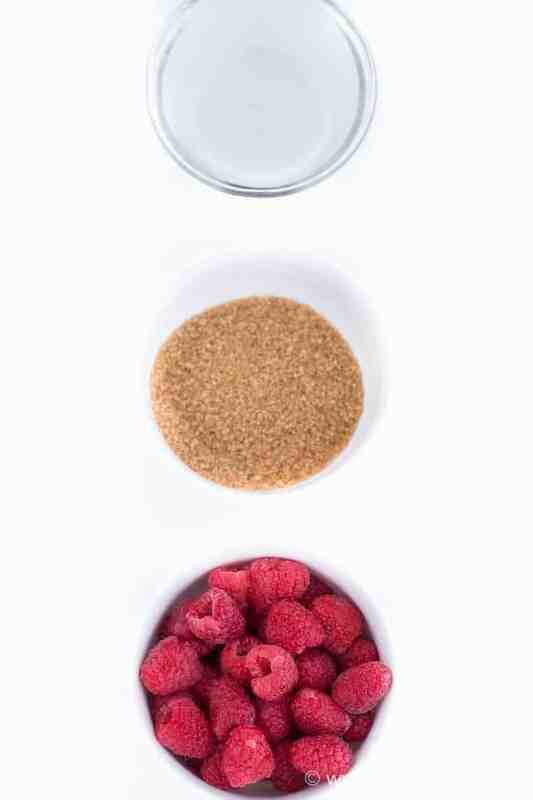 They are the perfect size for this DIY lip scrub. They come in a 10 pack and are 2oz each. As I was making this scrub, I remembered a strange thing John told me a few years ago. We were talking about reasons for breaking up with someone and he told me he ended a relationship with a girl in high school because she had chapped lips! Say what?! He said he tried to drop a subtle hint by giving her chapstick as part of a gift. Eek! I asked him if he’d break up with me if my lips were chapped. Yikes! Add ingredients to a small bowl and stir together. 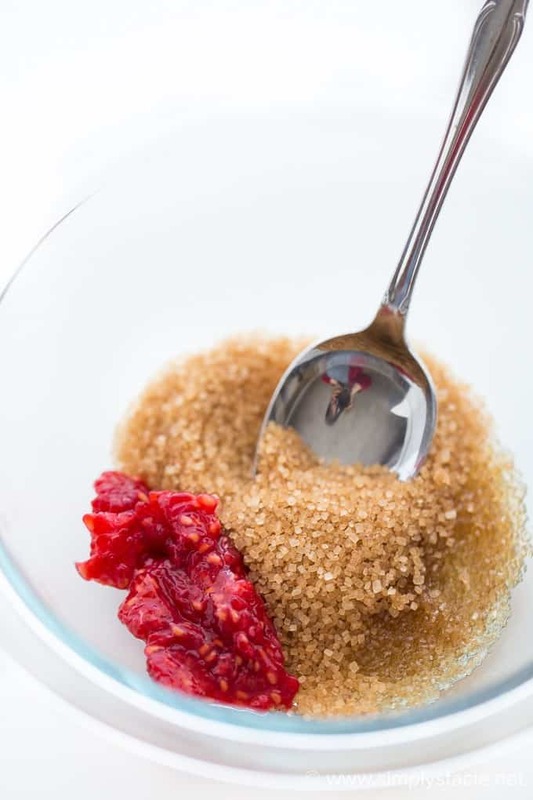 Add more/less sugar and/or oil until you reach your desired consistency. Put in a small jar and store in the fridge up to a week. To use – moisten lips with a warm wet cloth. 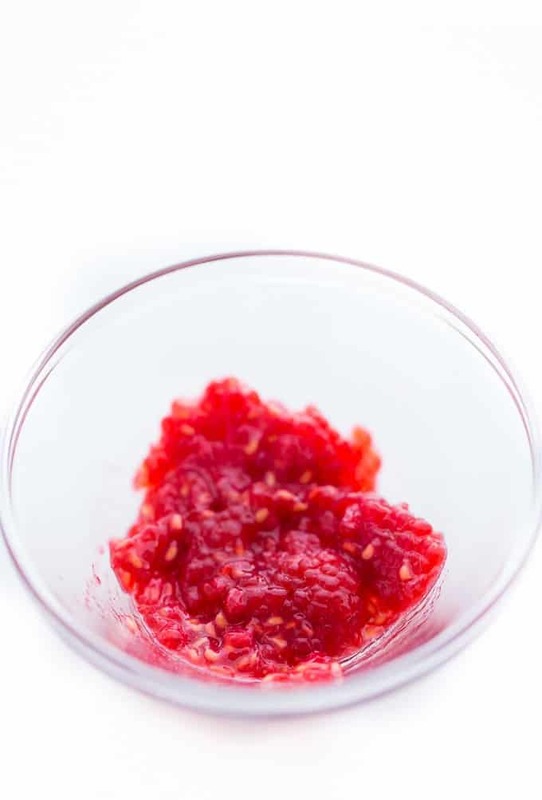 Gently rub in a small amount of lip scrub. Remove with warm water and pat to dry. My lips are exfoliated and soft now that I’ve been giving them a little TLC. I haven’t received any complaints from the chapped lip police (aka hubby) so I think I’m ok! How do you take care of your lips in the winter months? 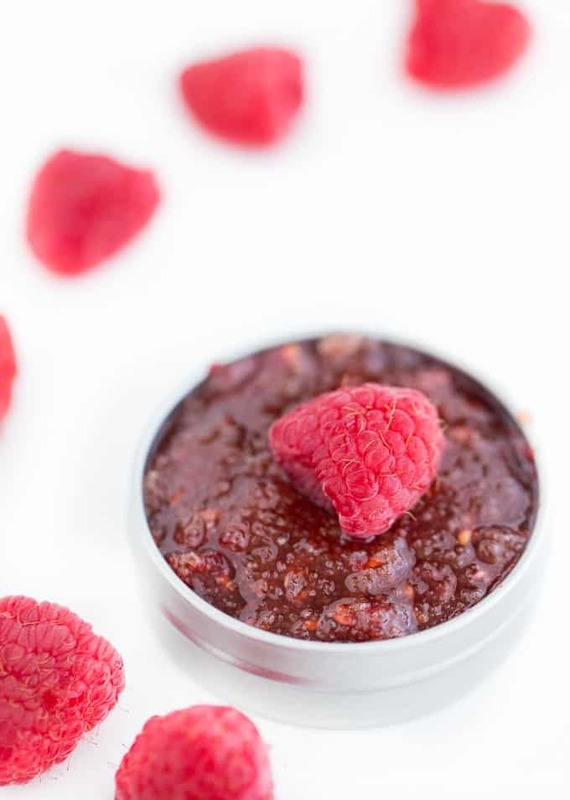 I love to eat raspberries and this raspberry lip scrub is so pretty and easy to make. 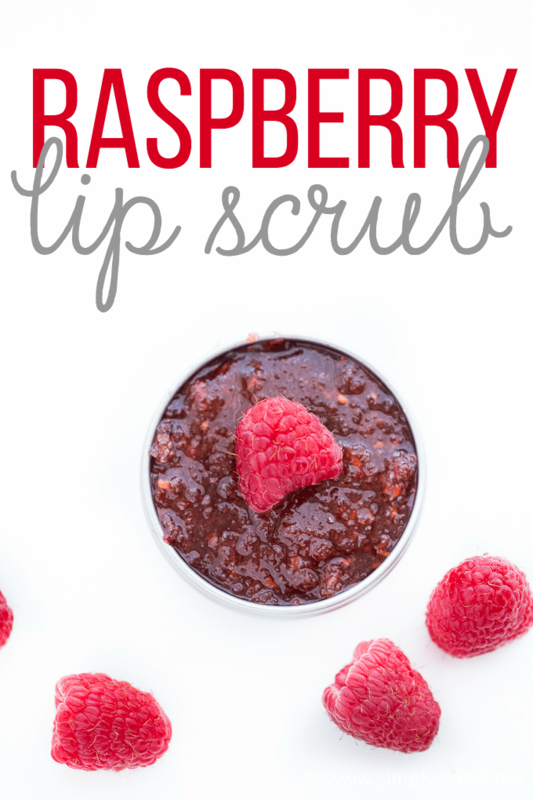 I need to make this scrub and use to help me with my lips. Thanks for the recipe. This sounds like a delicious lip scrub. 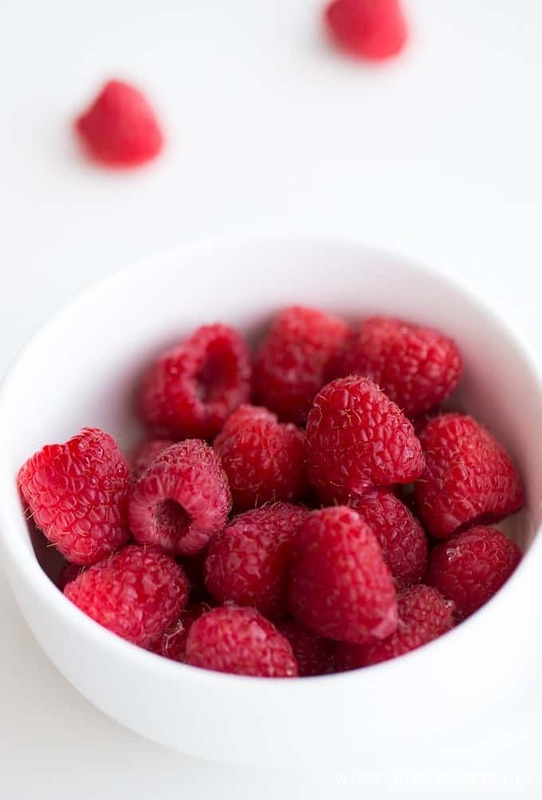 I love DIY lip scrubs and I will definitely be trying this one out because who doesn’t love raspberries? YUM! Ya, Im trying this for shure. OMG that is so awesome . I cant wait to try this. it looks like somthing I can do and do well. I hope this helps. Oh i wonder if it taste like smuckers you know when we were kids? mmm. delicious, quick & easy! Hi, love that and I’ll be definitly trying. Just a couple of questions, how long it lasts and where do you store it, fridge or cabinet? Oh good! I stored mine in the fridge and kept it for about a week. It doesn’t have any preservatives in it so it won’t last as long as the store bought stuff. I’ll have to try this. I love lip scrubs! 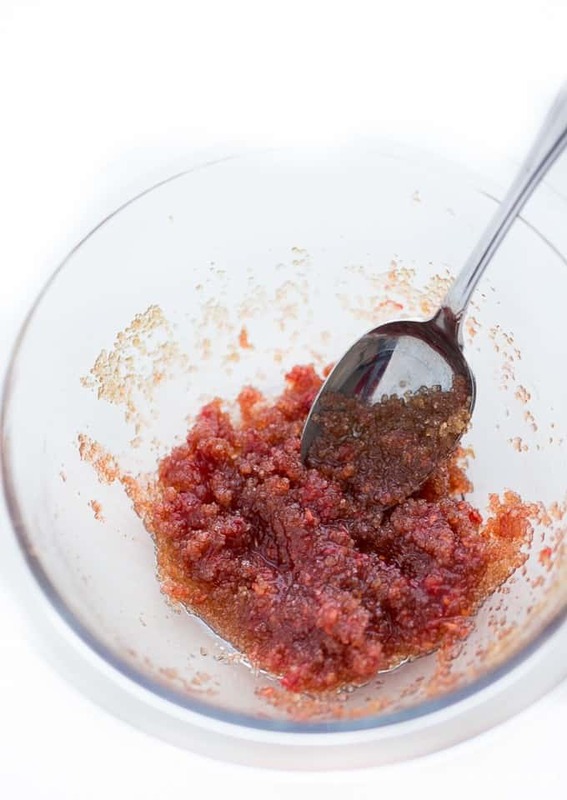 I’ve never thought about making a lip scrub before, but this looks great! This sounds delicious even though it’s not meant for eating LOL. This looks yummy enough to eat, I can’t wait to give it a try. Thank you for sharing this recipe. Love this, pinning it! Thank you so much for sharing and creating step by step pictures!